An Animas Ping or Vibe insulin pump. 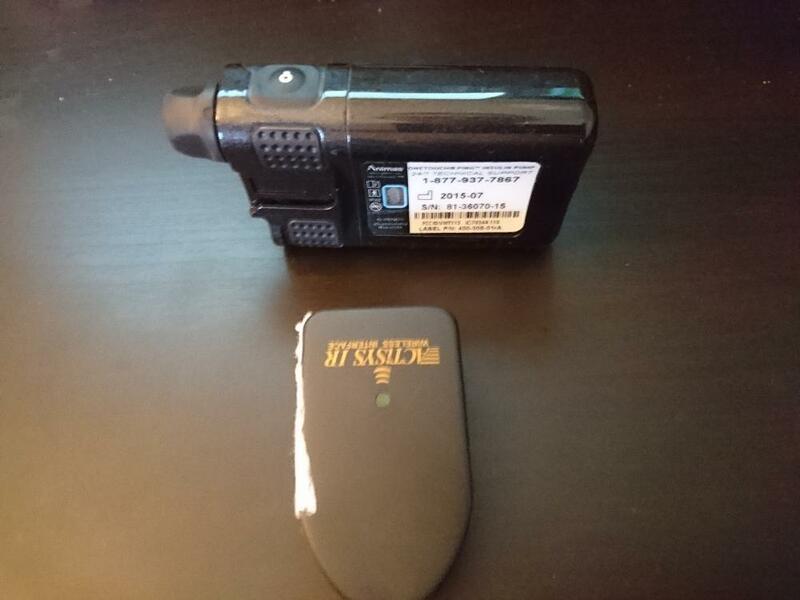 An Animas IR Cable - to read data from an Animas pump, you must use a custom USB-to-infrared cable. This is the cable that typically comes with the Animas pump. 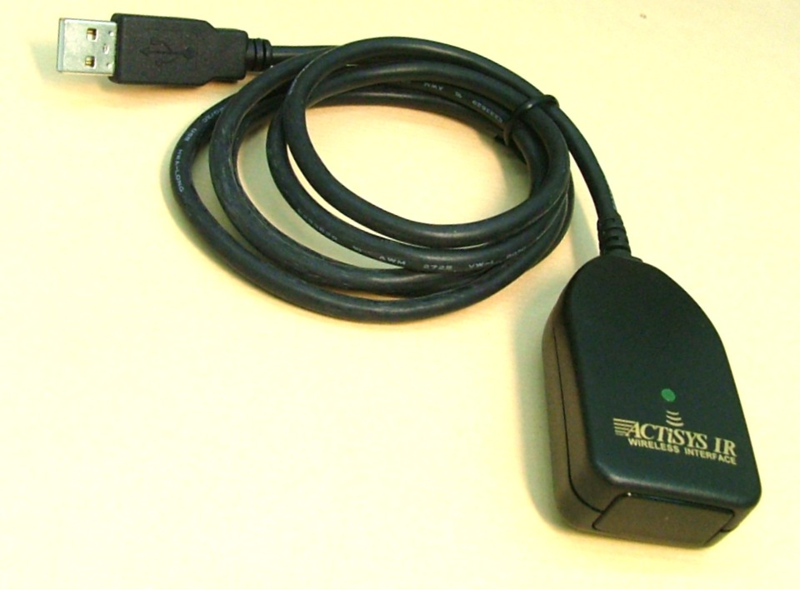 If you don't have the ActiSYS IR cable (pictured below), please visit this website to request a cable from Animas. The model number for this cable is ACT-IR224UN-Li2. 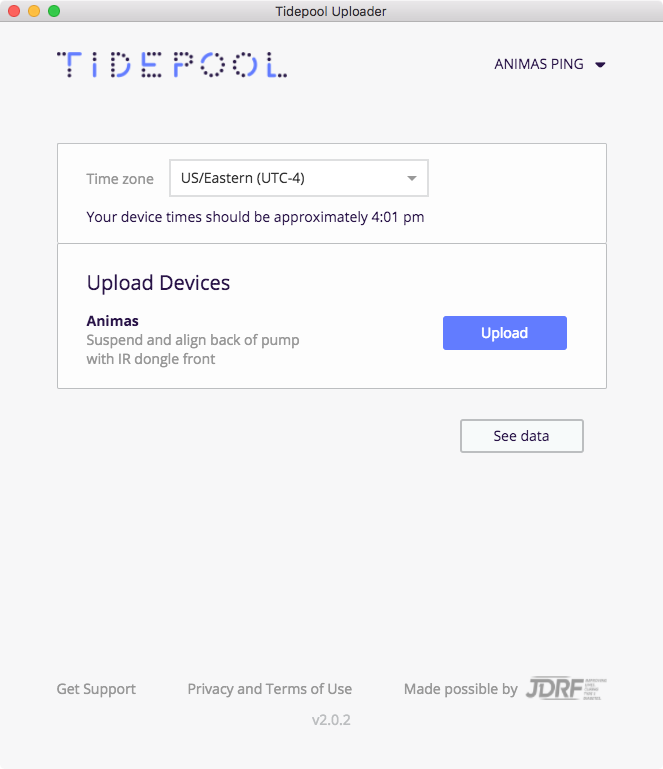 Tidepool Uploader works with cables with a serial number that starts with TA. If you have a cable with a different serial number, please contact us at support@tidepool.org. Connect the Animas IR Cable to your computer. 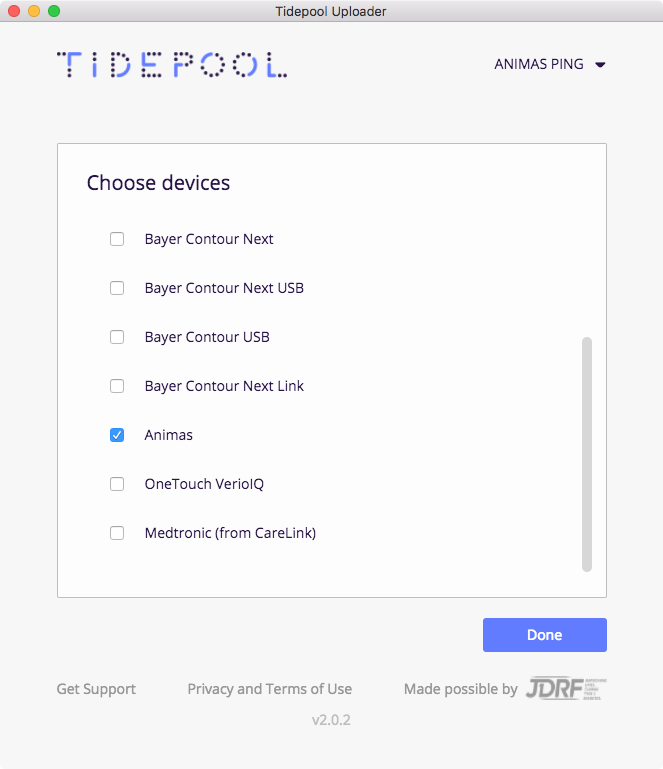 Confirm "Animas" is one of your Devices. You can change your devices by selecting "Choose Devices" from the menu under your name. Disconnect your Animas pump and put it in Suspend mode. Note: you must upload your pump within 15 minutes of suspending, or you will receive an error that the time does not match the pump. If this happens, you will need to unsuspend the pump and re-suspend before attempting to upload again. Align the back side of the pump with the end of the IR cable. Ideally, the cable and the device will be a few centimeters apart. If the pump and the IR dongle are not communicating as intended, try turning the cable's end onto its side, or raising the IR dongle to get the pump and cable into closer alignment. The pump screen must stay lit and the pump and cable must remain in alignment for the duration of the upload. Please do not move either device. Click Upload. Leaving the Uploader selected on your computer (in front of other windows) will allow it to execute the upload more quickly. If you are using your Animas Vibe as your Dexcom G4 receiver, your Dexcom data will upload along with your pump data. After the upload is complete, resume insulin delivery. You can upload another device or click "See data" to view your uploaded data.